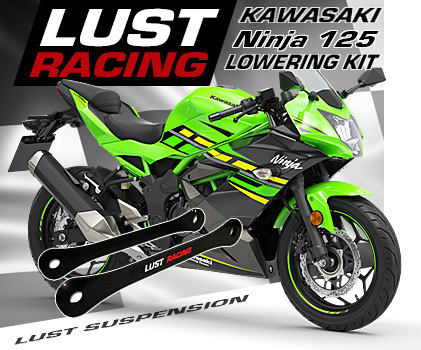 Lowering links for Kawasaki Versys 1000 2012-2014 adventure bike. Drops the rear suspension by 1.6″ inches and reduces the ride and seat height. High quality lowering kit for Versys 1000 made in roll forged steel. Excellent fit and finish. 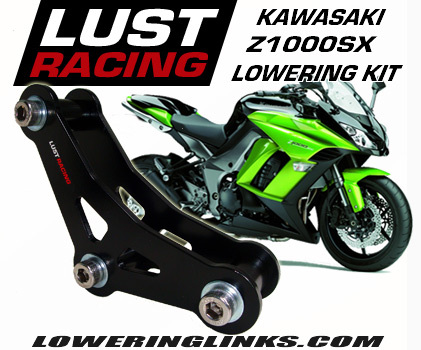 Lowering links for Kawasaki Versys 1000, reduces the ride and seat height. Lowers the seat height and the point of gravity. Excellent for riders who find their Versys 1000 a bit to tall. Installation instructions included. This is a lowering kit of very high quality, made in roll forged steel. Engineered to last the lifetime of your bike. Excellent fit and finish. Made in Europe by Lust Racing. This lowering kit replaces the rear suspension rocker arm plates in the rear suspension with new lowering ones. Easy to install. Installation instruction included. We have all lowering kits in stock! Our low price includes worldwide shipping, estimated delivery time 7…15 working days worldwide, local orders faster! 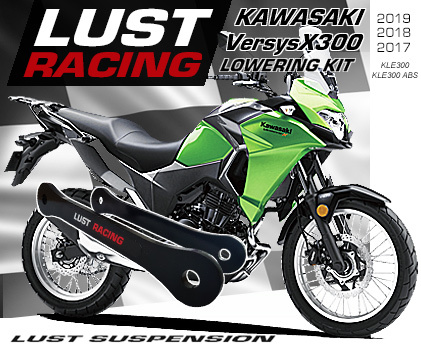 Order your 2012-2014 Kawasaki Versys 1000 lowering kit today!